Heat oven to 375°F. Spray 3-quart shallow oval casserole or 9 1/2-inch deep-dish pie plate with cooking spray. 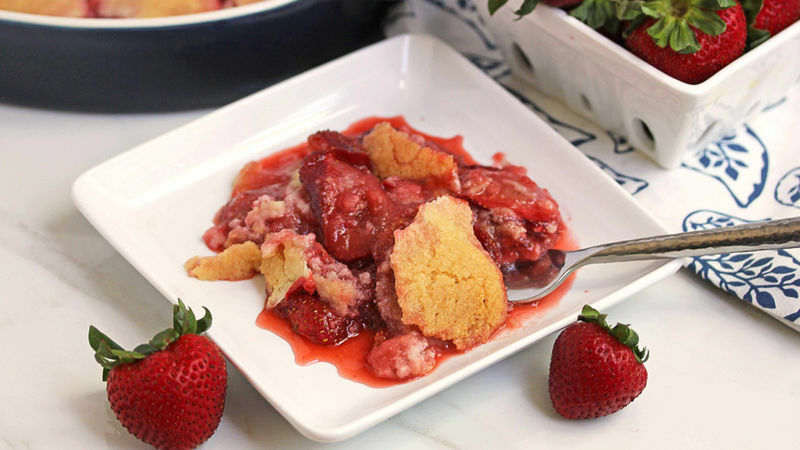 In large bowl, gently toss strawberries, flour, sugar and juice until berries are coated. Pour evenly into pie plate. Arrange cookies on top of berry mixture. Bake 50 to 60 minutes or until topping is golden brown. Cool slightly before serving. You can adjust the level of sweetness of your strawberries depending on how sweet they are by adjusting the sugar amount.